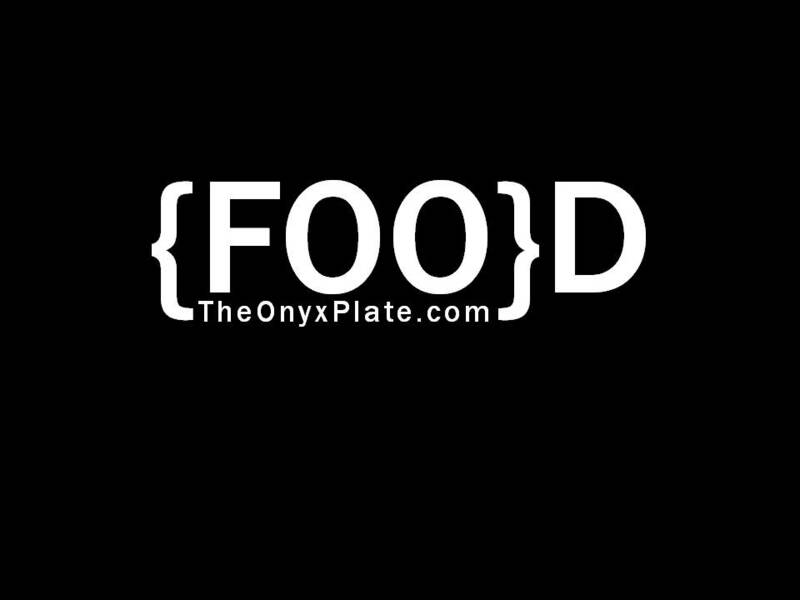 The Onyx Plate, The Onyx Plate T-Shirts! Get them here! ***Updated: The Onyx Plate T-Shirts are here! With that in mind, know that making these shirts was so exciting for me. I already had some individuals that were interested in them, and some who are pushing me to put a few of my writings in a cookbook for you guys. That project could be interesting and fun at the same time. But, for now, T-Shirts are on my agenda. These shirts are multi-functional in my opinion. 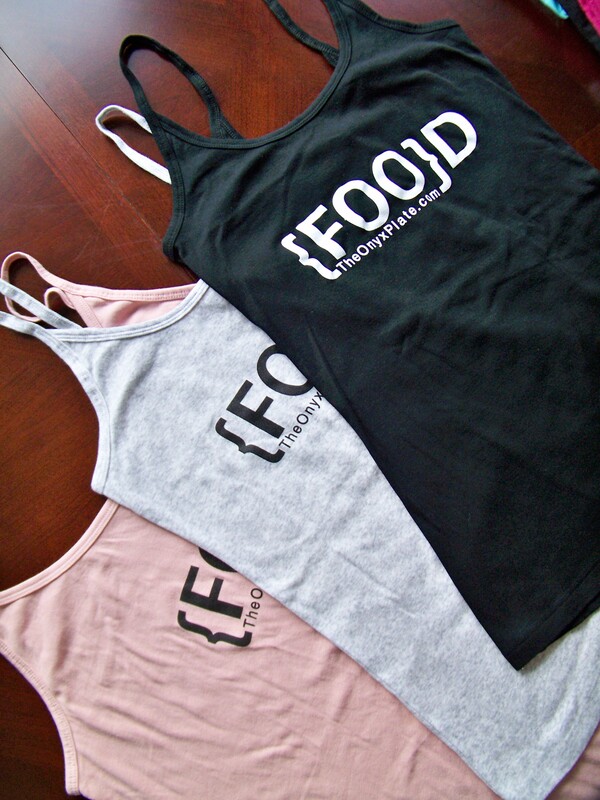 #2: If you do know the term “Foodie”, then you will get that it says FOO-D when pronounced. I liked the idea of the brackets in the design, and separating “FOO” and “DIE” didn’t quite send the right message…. *smiles* Once again, you would get the point though, that the web address listed below is for Foodies. #3: This one is my favorite…If you have been keeping up with my Foo Fighter’s posts, “Will Cook for Foo”, then you know I am a huge fan of theirs. Being a curvy lady, it’s hard to find shirts that I enjoy the fit of. Much less, shirts that say what I want them to. I wanted to have a Foo Fighters shirt to wear to the concert I’m attending in November, and could not locate one that fit me comfortably. So, I made sure to ensure it appeared as “FOO” in the design as well. As one of my recent posts read, my friend called me a “FOO-D” – an avid fan of the Foo Fighters and a Foodie. *smiles* Thanks, Beaux! PRICE: The T-Shirts are a flat $20 if I need to ship them to you. This includes the shirt, tax, and shipping and handling. If I see you in my daily routine, they are $15 because shipping will not be necessary. If you are interested, please send me an email at TheOnyxPlate@gmail.com, and we can work out the details. Honesty clause: *smiles* They are Gap camisoles, but I got them at a local overstock store, so they have a little line through the Gap name on the tag. I did check them over for flaws, and none were found. Previous Post The Cookie Monster Strikes! YEA!!!!! Where’s mine?? Can’t wait to wear it. Can’t wait to get mine too! The exchange was made yesterday :) I see what you mean about the green now too! Yes! I have it in the mail! Can’t wait til you get it! 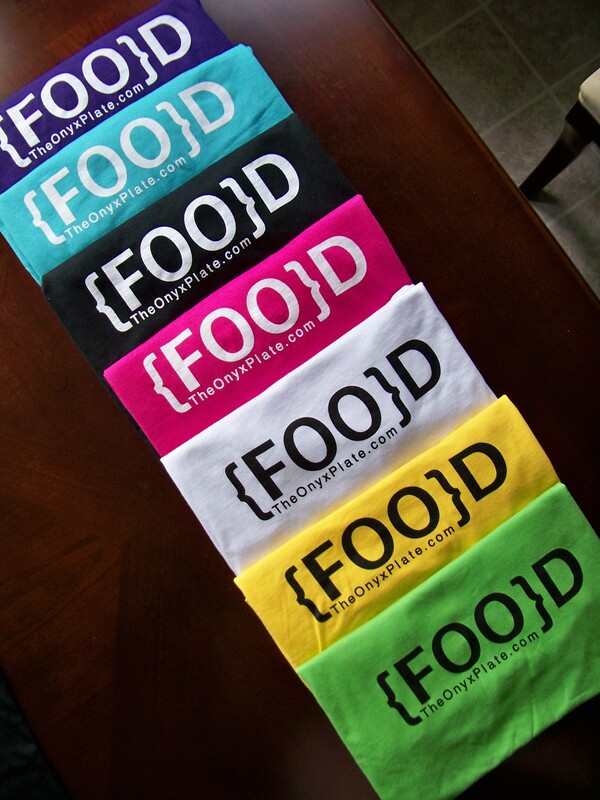 Those shirts and the colors have turned out just WONDERFUL! The design is the best kind- simple and creative with a whole lot of impact!